1) Chocolate Bloom--students expose their chocolate bars to different temperatures and see what happens when the ingredients start to separate. 2) Life Saver Sparks--students eat life savers in the dark in front of a mirror and watch what happens. 3) Candy Bar Bath--students test candy bars to see which sink and which float. Then they predict why. 4) Harvesting S's and M's--students pull the letters off of Skittles and M&M's. 5) Hidden Sugars--students learn to read labels and, hopefully, rethink some of their food choices. This could be done in class or sent home as an experiment. 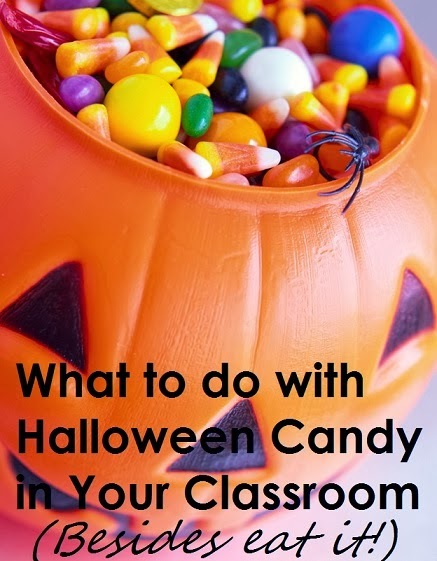 I doubt many parents would mind seeing the candy being used for the sake of education instead of tooth decay! Have fun. Be safe. Let us know if you try it and how it goes. We'd love to hear your feedback.